Experience design on the Wild Atlantic Way. Design West is an international summer design school located in the beautiful village of Letterfrack in Connemara, on the West Coast of Ireland. For two weeks next summer, from June 22nd to July 5th 2019, participants will get the opportunity to work with leading international designers from renowned studios across the globe. 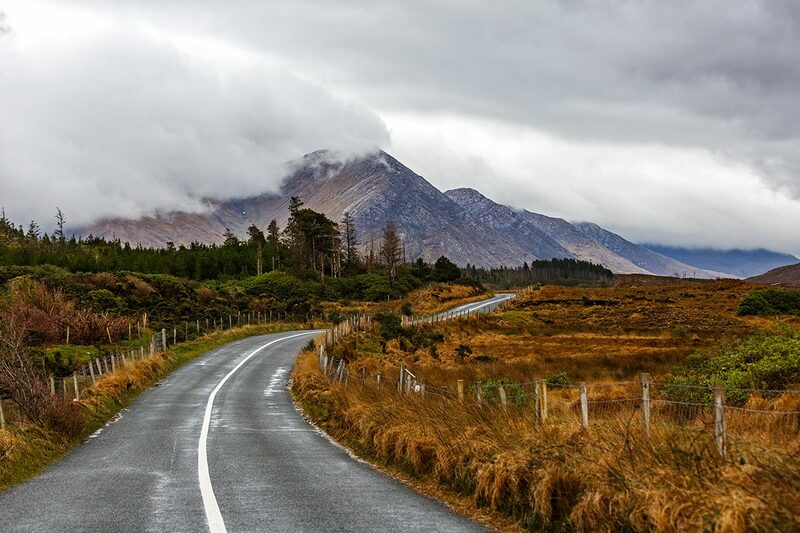 Unplugging from our hectic everyday working lives—commuting, cell phones, deadlines, media saturation—participants will immerse themselves in the wild and rugged Connemara landscape and use it both as a mode of research and as a source of inspiration. Summer is a time for exploration and discovery, for meeting new people and taking on new challenges. It is also a time to get away from the grind of ‘the everyday’ and to reflect upon one’s role and purpose as a designer. Design West offers the perfect environment for studying design in a non-urban environment—away from the noise of the city and the pressures of deadlines. Students will participate in a two-week programme of discovery, learning, reflection, adventure and making. The course will take place at the GMIT campus in Letterfrack which boasts CAD, CNC technology, laser equipment, robotics and digital, manufacturing all ideal for the realisation of 2D and 3D design expressions. The campus has excellent Wi-Fi connectivity. In the rural setting beyond the campus, connectivity is weaker, an opportunity for students at Design West to ‘unplug’ from the busy world of design and gain new perspectives. René Knip studied at the Academy of Visual Arts St. Joost, Breda in the Netherlands. He graduated with distinction in 1990. After an intensive training of three years as the assistant designer to Anthon Beeke, he started his own atelier in 1992. Atelier René Knip focuses on graphic design at the dividing line between flat and three-dimensional works. Other typical ARK interests are the autonomic possibilities of the applied graphic art; the independency of material and colour; and type design and calligraphy as visual tools. 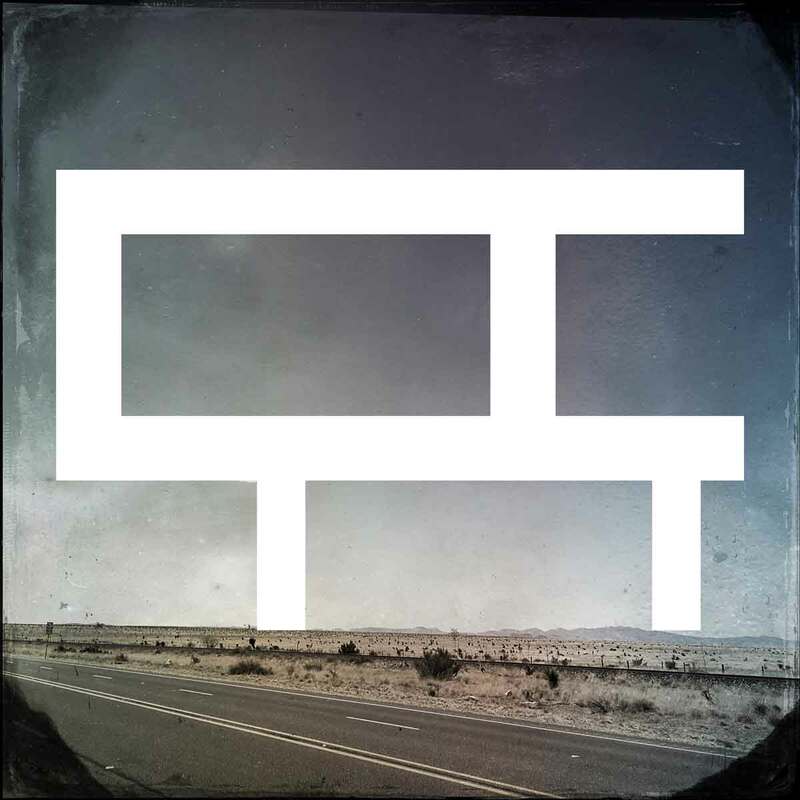 René is a member of Alliance Graphique Internationale (AGI). Art Director and Designer at Hakuhodo Inc.
Yuki aspires to bring life to ideas that will touch the hearts of many, going beyond age, gender, nationality, or generation. Her specialty is in all things tangible and 3D, including packaging and product design. 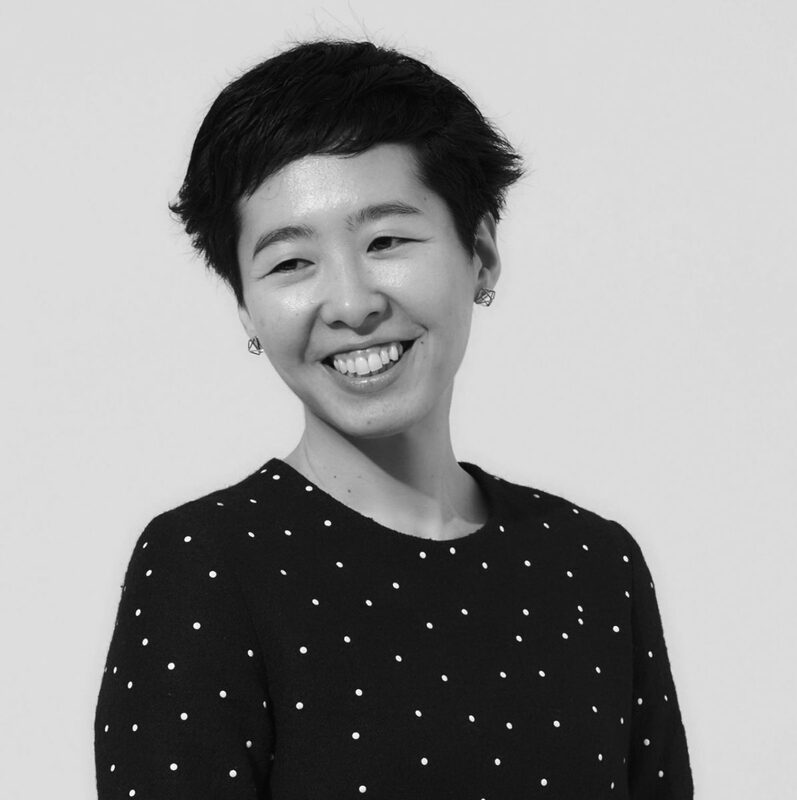 Since joining Hakuhodo Inc. in 1999, she has won numerous awards including D&AD, Spikes Asia, Art Directors Club in New York, AdFest, Japan Package Design Awards and the Good Design Award. She was on the jury at D&AD, Art Directors Club in New York and Spikes Asia. 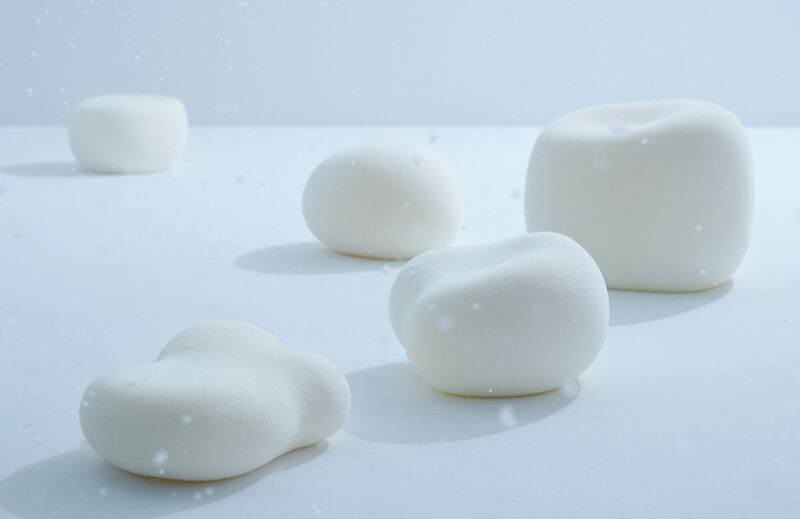 She has also participated in several exhibitions, such as the “Chocolate Exhibit” at 21_21 Design Sight (established by the Issey Miyake Foundation) and Milan Furniture Fair. Brankica Harvey is a graphic designer who conceptualises and executes projects in a wide range of design areas. She brings her love of typography, print, and digital media with her attention to detail to each design challenge. Her projects include developing graphic solutions for brand systems, print, packaging, web, information graphics and environmental signage working for clients such as Cooper Hewitt, the Menil Foundation, the Studio Museum in Harlem, the Queens Museum, UCLA, JWT, Harry N. Abrams, Princeton Architectural Press, among others. 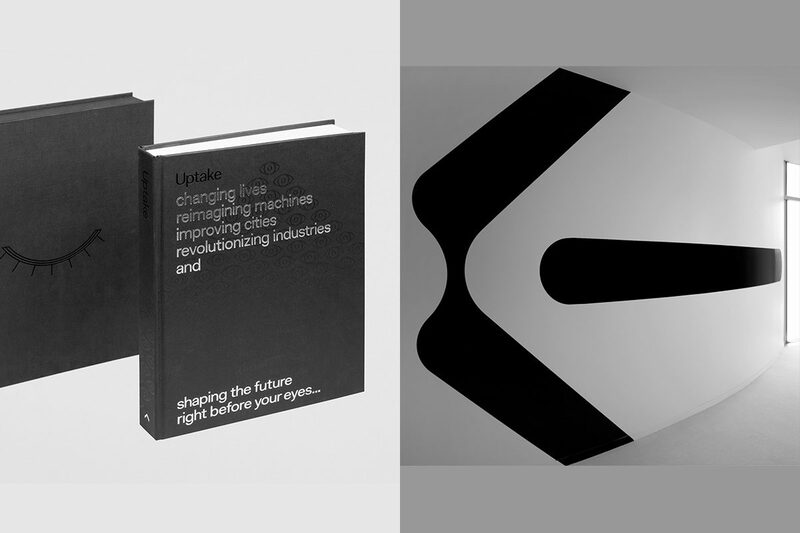 Ken is an Irish designer based in New York as an associate partner & designer at Pentagram. He is a multi-faceted designer whose work encompasses design, strategy, and technology, with many of his projects ranging across multiple media. He has worked for various design studios in Dublin, London and NY. He has worked with notable clients such as the American Museum of Natural History, NYC Department of Design and Construction, Codecademy, Cooper Hewitt, AIG, Savannah College of Art and Design, Google, FdMarch, Studio Museum in Harlem, Grace Farms, JWT, New York University, and Abrams. He is also a Typography lecturer at the School of Visual Arts in New York. Ken has received a range of design awards for his print and interactive design in Europe and the United States, such as The Type Directors Club, Communication Arts, The Art Director’s Club, Design and Art Direction Awards and The 100 Archive. Ken has a BA in Visual Communication from the National College of Art in Dublin, Ireland. He studied Design, Typography and Interactive Media in the Willem De Kooning Academie in Rotterdam, Holland. He has been a guest critic at Parsons, The New School, New York and NYU Magnet. Ken is a member of the IDI, 100 Archive, AIGA and the ISTD. 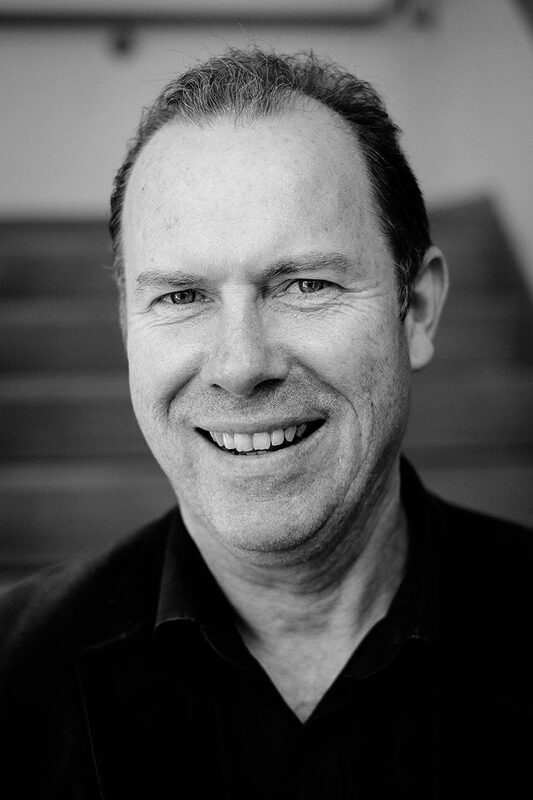 Course Leader, Conor Clarke is a Director of Design Factory an award-winning design studio in Dublin established in 1985. He has served as a board member of the Institute of Creative Advertising and Design, and the Institute of Designers in Ireland. His work has featured in international publications such as Who’s Who in Graphic Design, Graphis, Novum Gebrauchsgrafik, the New York Art Directors Club Annual, Worldwide Identity: Inspired Design from 40 Countries published by Icograda and Art Marks published by Counter-Print. His work was exhibited at the New York Art Directors 5th International Exhibition in 1992; The Boundaries of the Postage Stamp, at the Jan Van Eyck Academie in Maastricht, the Netherlands in March 1993; Posters for Cultural Diversity at the Icograda World Design Congress 2007, in Havana, Cuba; The Good 50×70 exhibition in Milan in 2009 and the ADP Design Tour exhibition, Tokyo in October 2017. 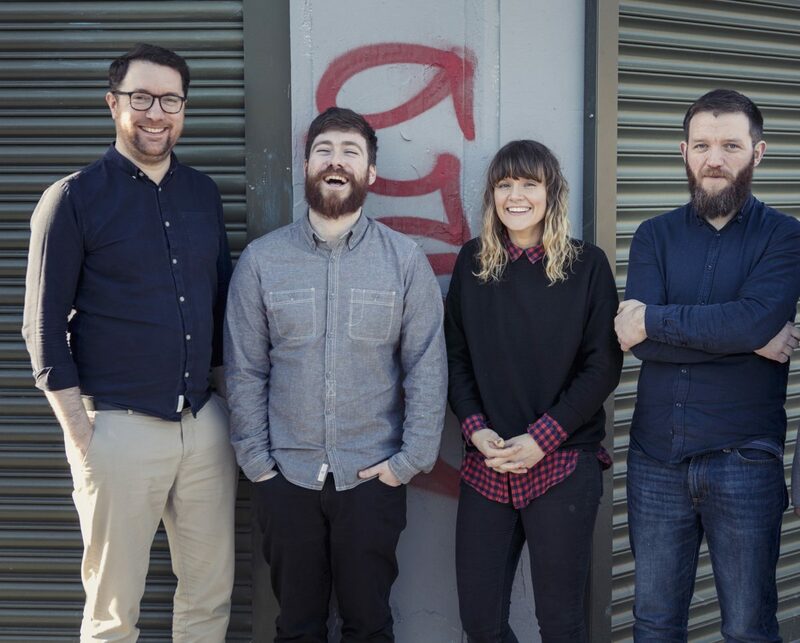 Conor was the Acting Head of the Department of Visual Communication at NCAD Dublin from 2013 – 2016. He is currently Regional President for Ireland on the Asia Designer Communication Platform. Unthink is a design studio, who are inquisitive, open minded, and approach every new project with a deep curiosity, free from any preconceived ideas. 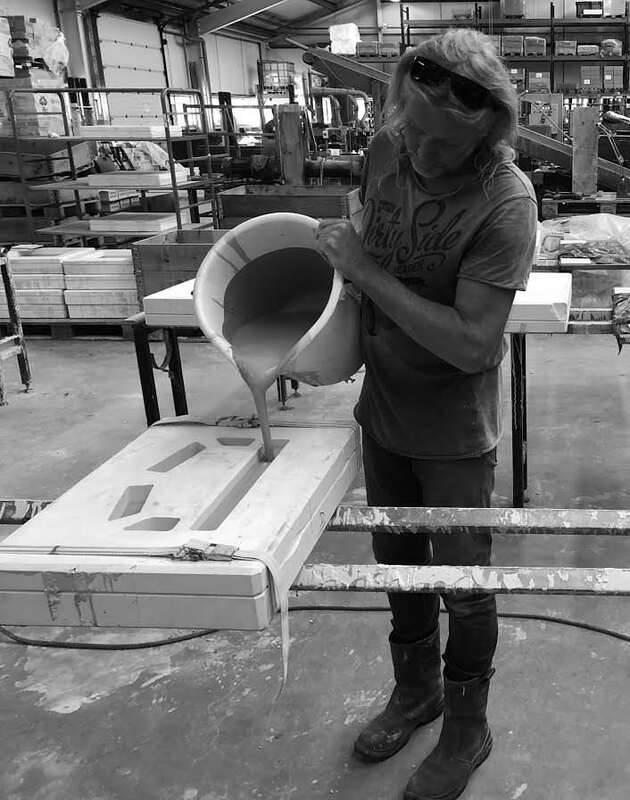 This process allows them to create unique and effective design outputs. 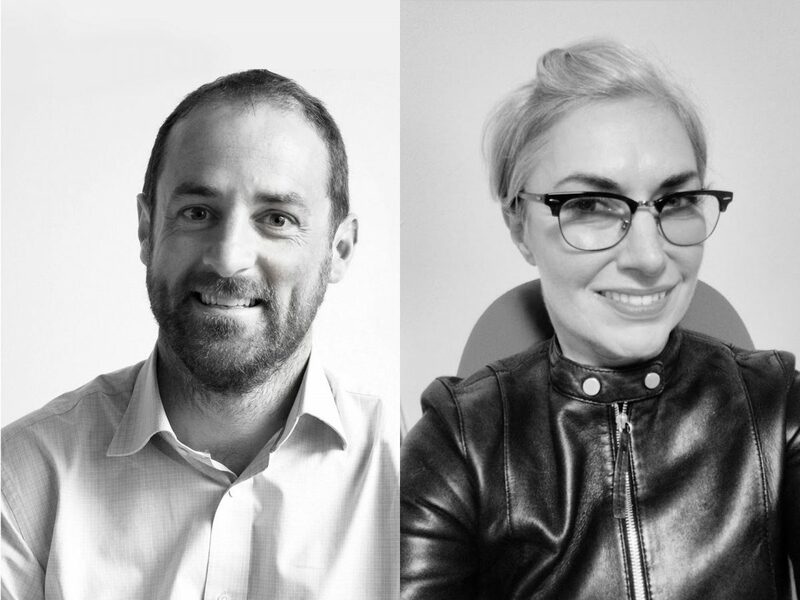 As visual communicators they tend to create two dimensional outcomes, however largely due to their collaborations with architects and other disciplines, they’ve grown to greatly respect the role of volume and materials in bringing projects to life. Many of their most enjoyable and fruitful projects have been at the intersection of architecture and design. 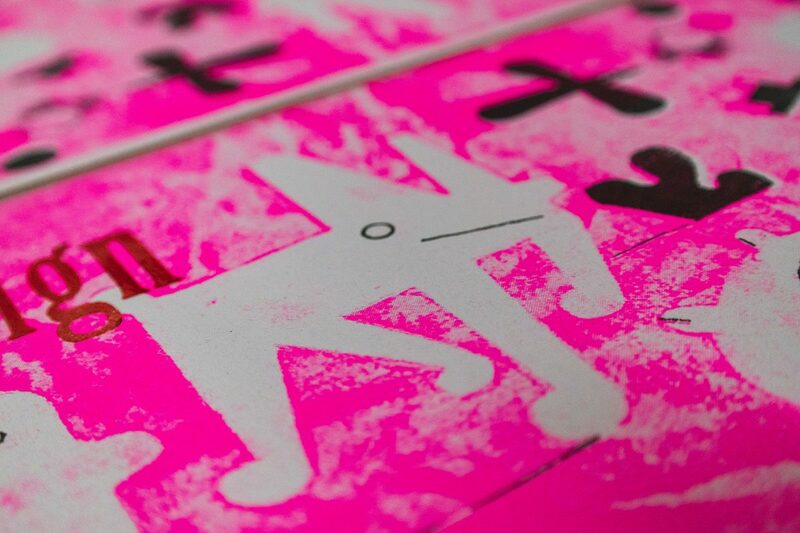 Or Studio is an award-winning design and risograph print studio based in Dublin. 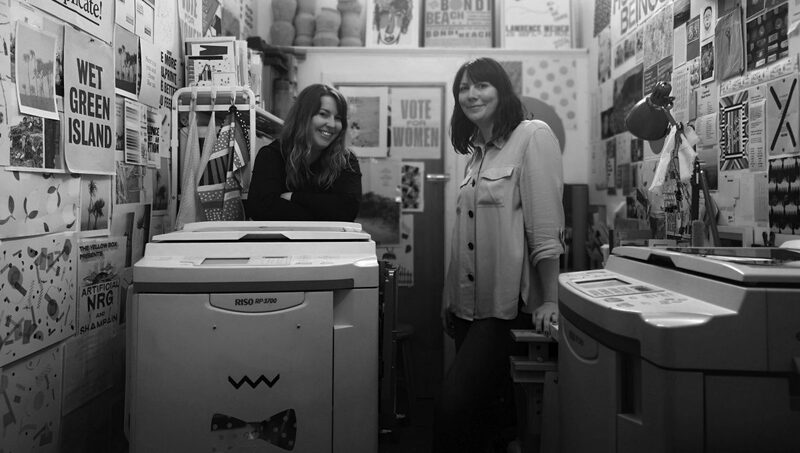 With a hands-on and playful approach to design, Kate and Jo established Or Studio as a space to experiment with process or collaborate or run workshops or discover the possibilities of design in the context of risograph printing. 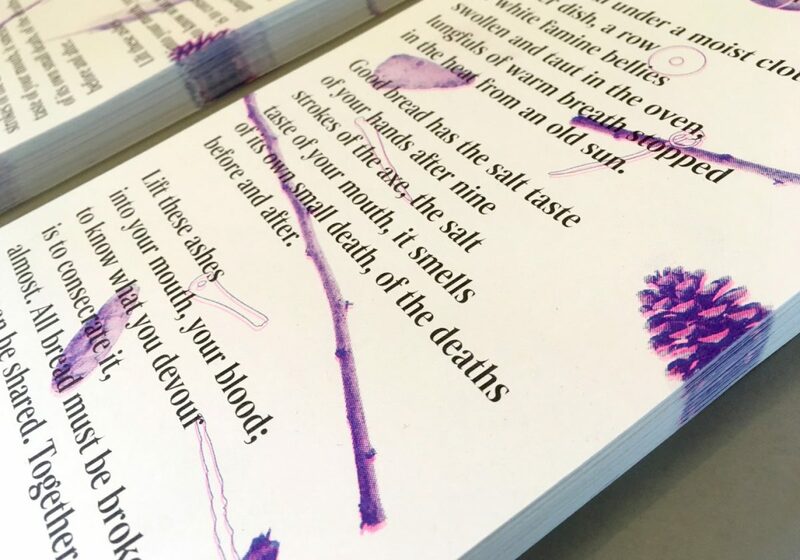 As well as taking on graphic design work, Or Studio also offers a range of risograph print workshops and consider the act of sharing an integral part of their practice. Seán studied at the School of Printing D.I.T. Dublin and London College of Print. He worked in the print industry for many years and lectured at the School of Printing, D.I.T. before taking up his position at NCAD from 1983 – 2015. He is a member of the Print Historical Society and Chairman of the Curatorial Committee and Board Member at the National Print Museum. 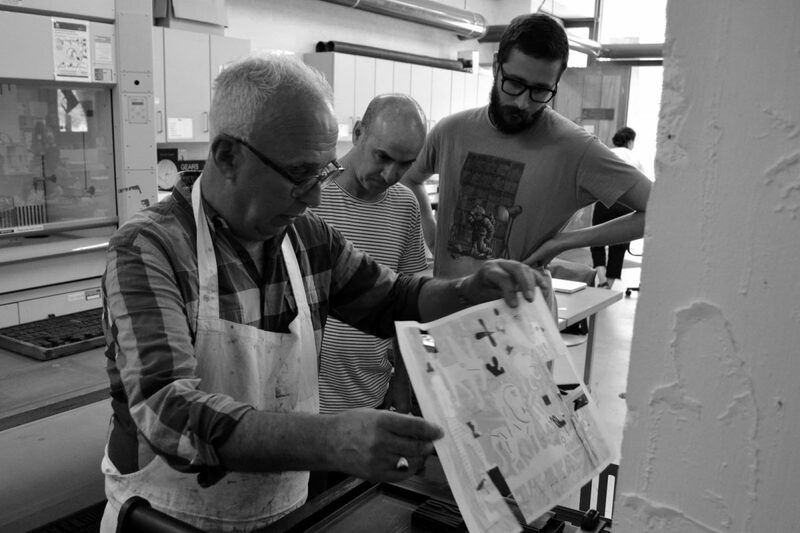 He has conducted workshops for many different organisations including the Paul Getty Foundation U.S., Texas Christian University Dallas, Irish Print Museum, Trinity College Dublin and Dublin City & County libraries. Consultancies include Northern Ireland Trust, Airfield Trust Dublin, Case Project-Leitrim Enterprise Board, Linographics Ltd. Texas. Seán collaborated with the National Gallery of Ireland on its first contemporary exhibition of Print ‘Art into Art’, and the Chester Beatty Library for their exhibition ‘The Holy Show’. 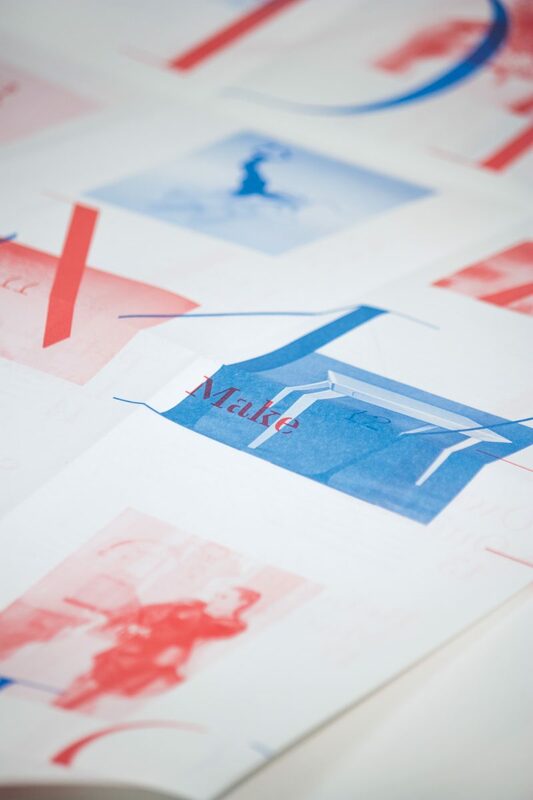 He has also been commissioned to print numerous limited edition artist books. Dermot is Head of Centre at the National Centre for Excellence in Furniture Design and Technology. 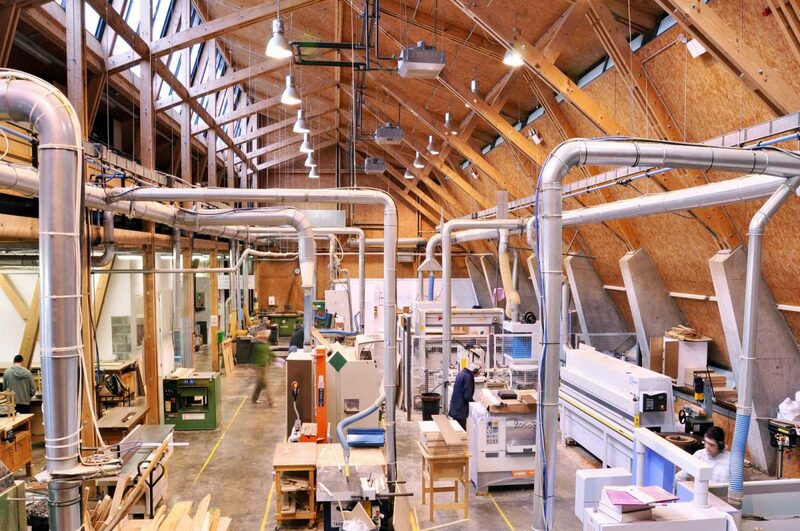 GMIT’s campus in Letterfrack has been synonymous with the evolution of design and technology education related to furniture and woods products over the past 30 years. Dermot’s role as Head of centre involves managing the day-to-day operations of the campus and leading the development of programmes and research. Dermot holds a Bachelor of Commerce Degree from UCC and a Higher Certificate in Furniture Design and Making as well as Master of Science from GMIT. He is currently undertaking Doctoral research with Lancaster University where he is specialising in sustainable development within Higher Education in Ireland. Susan is a Lecturer at GMIT Letterfrack where she teaches Design History, Design Communication and Design. Susan is currently teaching on the graphic design programme at the GMIT Centre for Creative Arts and Media (CCAM) in Galway. Before joining GMIT Letterfrack she spent many years teaching the history and theory of visual communication at Athlone Institute of Technology (AIT). She studied Visual Communication at NCAD, before completing a Masters degree in Design Education also at NCAD. She holds a D.Phil in information design theory from the University of Ulster. Design West 2019 will commence on Saturday, June 22nd at 6:00 pm (18:00 IST) with the opening ceremony meal. The programme facilitates both individual and collaborative approaches to the making of 2D and 3D design expressions, including visual communication, installations, abstract and environmental design. We are looking for participants to engage with the local environment through observational studies (walking as research), the study of found objects, interactions between communities, landscape, and nature. We are giving participants the opportunity to explore new ideas through research and making in a unique environment. The programme will be led by a cross-disciplinary group of international tutors and professional technicians. Design West at GMIT Letterfrack is a catalyst to recharge your creativity by providing a unique facility, location, and experience outside your normal working environment. We welcome post-graduate students and professionals from all over the world. We value cultural diversity as well as the diverse talent and perspective each participant will bring. The programme will be conducted in English and collaboration across the following disciplines will be encouraged: typography (2D and 3D), graphic design, image making, the writing and the making of books and journals. This course will be delivered by GMIT Letterfrack and is aimed at Masters level study – Level 9 on the Irish National Framework of Qualifications www.nfq-qqi.com. Included in the assessment strategy will be the submission of a portfolio, precedent research and reflective writing on learning experiences. We are currently accepting applications. The final deadline for applications is Friday 10 May 2019. A portfolio is required for application. There is a maximum of 24 places available on the course and a minimum of 19, the course will not go ahead unless the minimum number is reached. It is important for us to see examples of your work to help us make our final selection. In the application form please provide a link to your website or a pdf of your work which we can review. The course will conclude with an exhibition of works completed by participants over the two-week programme. The course fee for 2019 is 1800 euros. The fee includes accommodation (individual room, shared living space, kitchen, bathroom), tuition, lectures, walking tours and workshop supervision. 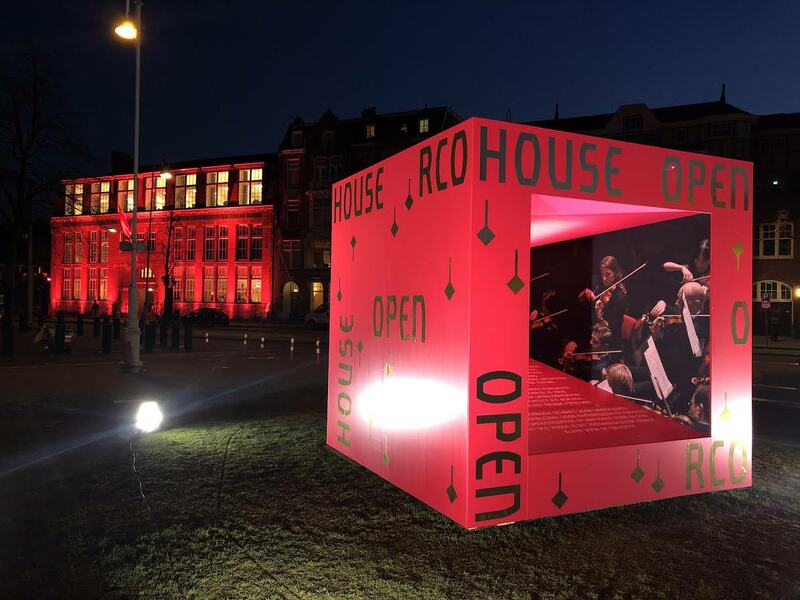 It does not include travel (flights) to and from the course or daily meals, however, participants will be invited to an opening and closing dinner ceremony. Students should bring their own laptop and organise their own travel insurance. 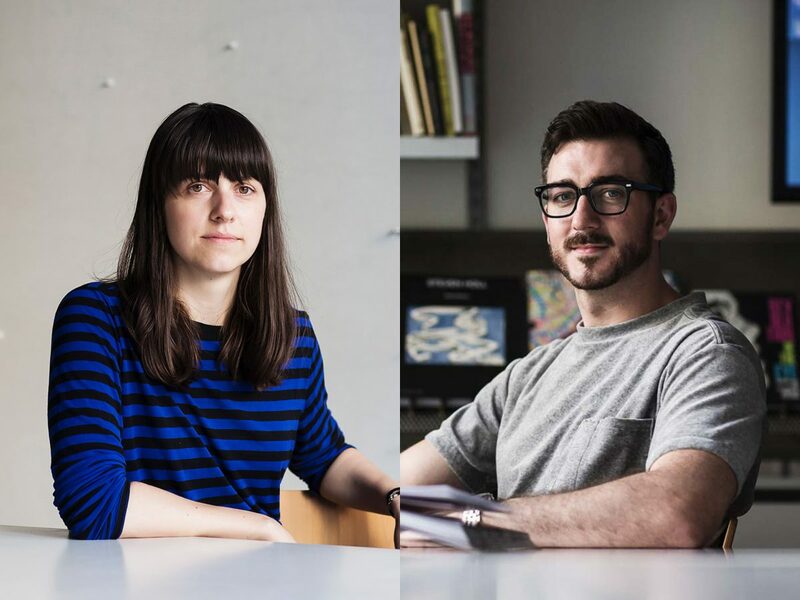 The first edition of Design West Summer School took place in June and July 2018 and featured Isidro Ferrer (Spain); Artur Rebelo, R2 Design (Porto); Ken Deegan and Brankica Harvey, Pentagram (New York); Noelle Cooper and Colin Farmer, Unthink (Dublin); Kate Brangan and Jo Little, Or Studio (Dublin); Seán Sills, National Print Museum; Conor Clarke, Design Factory (Dublin); Dermot O’Donovan and Susan Rogers, GMIT (Letterfrack). One-to-one and group instruction with top international design professionals and academics. Juried reviews and guest lectures with noted international and local designers. Workshop: Students explore diverse modes of 2D and 3D techniques through a variety of digital tools. Students are exposed to diverse design methodologies while experimenting with and exploring the properties of different materials. Supervised access to the GMIT 3D workshops with CAD, CNC technology, laser equipment, robotics and digital manufacturing for the realisation of 2D and 3D design expressions. 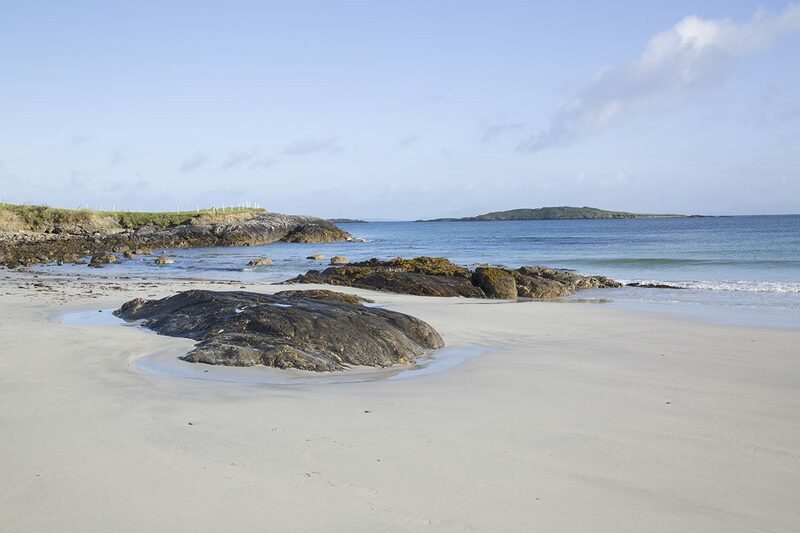 Exploring Connemara and the Wild Atlantic Way: Every afternoon guided walking tours and research trips will connect students with Connemara’s extraordinary landscape— Connemara National Park, Kylemore Abbey, Killary Fjord, Inishbofin Island, Renvyle and Clifden. Portfolio Development: Focused workshops with leading international designers for the making of 2D and 3D design expressions, including visual communication, installations, abstract and environmental design. GMIT technicians will also be available to assist students with the making of 3 dimensional design expressions using contemporary furniture manufacturing technologies. Crits and Pin-Ups: Students engage in ‘desk crits’ with faculty and weekly ‘pin-up’ reviews with their studio group. At the end of the programme, students produce a public group exhibition. Student apartments are situated near the college campus. These are of excellent quality and each participant will have their own room with shared living room and bathroom, 3 students per apartment. Fully equipped kitchen which includes a fridge, stove and microwave oven. The residence is two minutes walk from the college campus. The Course Fee does not include daily meals, except for the opening and closing dinners. However, the college campus is situated in the village of Letterfrack in Connemara, Co. Galway, an area full of restaurants and bars offering lunches and evening meals. 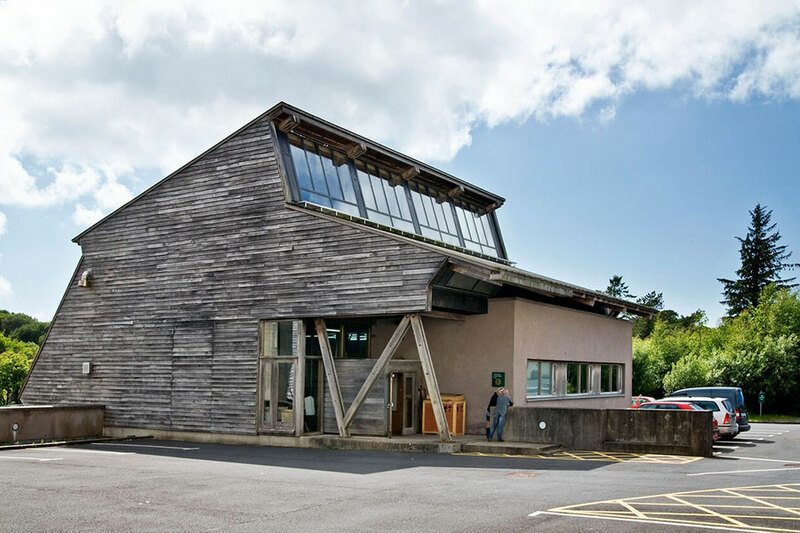 GMIT Letterfrack campus is the National Centre of Excellence for Furniture Design and Wood Technology and is in a beautiful setting at the entrance to Connemara National Park on the Wild Atlantic Way. It has been synonymous with the study of design since 1987 and has excellent workshops and facilities for all activities required at the Design West Summer School for 2019. The external campus buildings were designed by the internationally acclaimed O’Donnell + Tuomey Architects, renowned for their work on other educational institutions such as the Saw Swee Hock student centre at the London School of Economics (2009). The ‘old building’ dates from the nineteenth century and has recently been restored and refurbished following conservation standards. GMIT Letterfrack works proactively to limit the impact of its operations on the environment and to nurture principles of sustainability within its teaching and learning. The GMIT machine halls and bench rooms are fully equipped and include CNC and laser technology, as well as robotics. The laboratories and workrooms are designed as highly efficient environments. There are two fully equipped computer laboratories and WiFi throughout the campus.